Recently, Gallup polls ran a study and determined that nearly 75% of the nation feels that today isn't a good time to get a long-lasting, quality job. The disheartening news comes along with earlier statistics showing that college unemployment is still incredulously high. Clearly, people are worried about their future job prospects. There's an incredible amount of trepidation for students looking at different colleges and majors due to it. Indeed, there are a few majors that people generally assume are "pointless." At least in the sense that they would not bring about any decent paying positions right after graduation. Public Relations Specialists are those individuals who work for businesses and who specialize, specifically enough, in the business' public relation needs. This can include writing press releases, mass media advertising, organizing events, writing favorable articles and reviews, and other things in this area. Most people who work in this career do so in the private sector, so they can expect a number of simultaneous opportunities. Individuals are considered specialists because they are either expected to do most of the above tasks well or a limited few with expertise and extreme proficiency. The average income for such professionals is roughly $46,000. The bottom 25% make around $5,000 less. The top 75%, however, can expect another $6,000 more. Those with the most experience can take in just over $60,000 a year before bonuses. They are often seen as the next step up for relation specialists. However, this isn't always the case. Although experience is surely preferred, education is an extremely important aspect to this career. Many top notch employers require a master's degree. Although traditional university is a choice for many pursuing this career, there are a number of online MBA programs options available these days. Most of them are employed at a religious institute or a non-profit. The next most popular option is to work at a scientific firm. According to the Bureau of Labor Statistics, this profession will experience a 21% increase in demand over the next decade, meaning a reliable job is going to be out there. The average pay for is roughly $57,000 a year before bonuses and benefits. The top ten percent, however, earned over $160,000! College Relations Managers are becoming increasingly important as colleges recognize their role in the new economy. Employers often won't even consider people if they're not holding a bachelor's degree. As such, they are in charge of making their college an appealing choice for prospective students. Their duties include writing for the school webpages, preparing press releases, coordinating parent and student events, and many more. The pay is difficult to determine due to the drastic differences between public and private schools. However, private schools tend to give more in both benefits and pay compared to the public option. While relations experts are often in charge of individual aspects of the profession, Account Coordinators are responsible for entire clients! They are assigned individual accounts by their employers and must know everything about that particular employer. 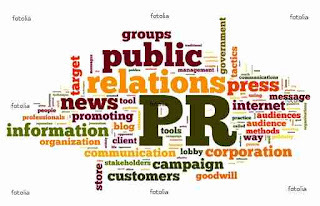 Due to the nature of the job, they are almost exclusively employed by PR firms and organizations. It is considered to be an "entry level position," but even then it still offers an adequate salary: around $40,000. Proficient coordinators often graduate up to advanced professions. If they receive their MBA they can very well become managers. A crisis manager holds a special PR expertise; one that we rely upon to make an ugly business turn delightful. A great manager is someone who believes in the greater good of the company's mission and is able to generally look past the human errors. They need to be reliable, optimistic, and extremely good with their words. Although an entry level manager can earn about $40,000, those with experience are extremely well-valued. To the tune of over $150,000! Ryan Grigsby works in the field of online education where he frequently blogs about online education and the future of distance learning. His work has been featured on Aurora University Online and several other major universities.